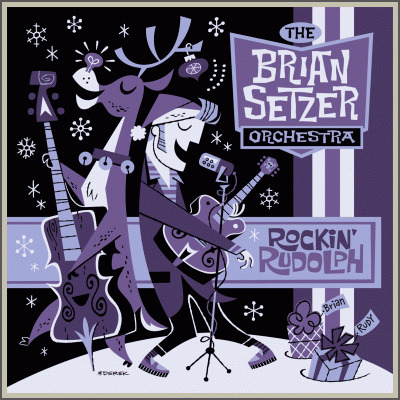 Deck the halls with the Brian Setzer Orchestra and Rockin' Rudolph! This is an alternative version of the OFFICIAL album cover created by our own Derek Yaniger! This collectable four color silk screened serigraph is printed on archival heavyweight French Speckletone Starch Rain paper and measures and impressive 18" x 18" all signed and numbered by the artist in a limited edition of 150.